Buying and fitting a full set of winter tyres - or keeping a spare set of wheels with winters on - is a pricey business. It’s a hassle, too. So is it an option save money by simply fitting them to the front wheels of your front-wheel drive car? No, no it isn’t. For the love of god, don’t ever do it. 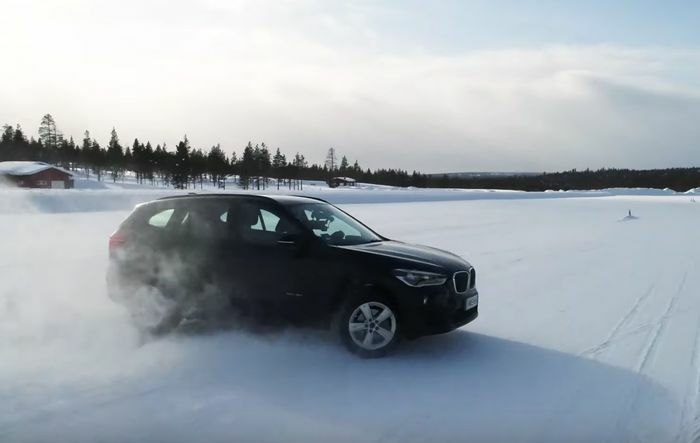 Certainly, you’ll have plenty of traction to get you going in icy conditions, but the trouble is - as explained here by Tyre Reviews - once you’re on the move you’re reliant on all four wheels, not just the driven ones. If you’re mixing up summer and winter tyres, you’ll introduce a horrible handling imbalance that’ll see you spinning out constantly. 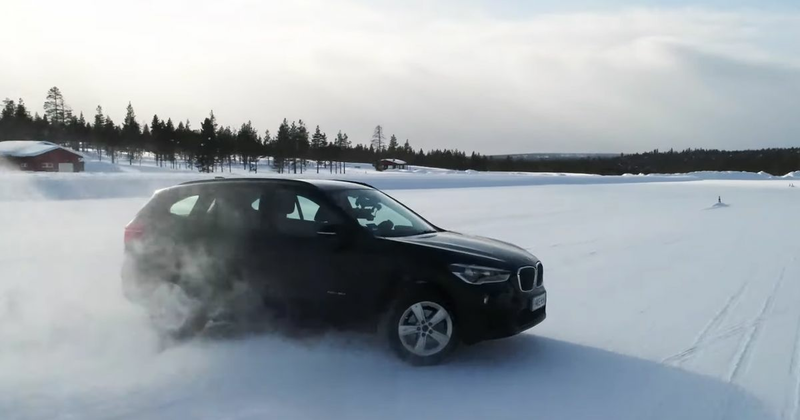 It looks fun enough here at this Goodyear ice testing facility - where host Jonathan Benson is using a BMW X1 fitted with Goodyear Ultragrip Performance Gen-1 winters at the front and Eagle F1s at the back - but on the road, the consequences could be lethal. It’s also a big no-no fitting them only on the back of a rear-drive car. Again, traction from a standstill or up a hill will be good, but then when you arrive at a corner, you’ll find your steering doesn’t work. You’ll also have the same problem one axle braking much more effectively than the other, threatening to spin you out. The lesson is simple: if you’re fitting winter tyres, stick ‘em on every corner.